I can’t even begin to quantify how much money you’ll save over the years by learning to make your own laundry detergent and pre-treat! With our big family and with using cloth diapers with my babies, I’ve saved thousands, yes I said thousands of dollars using our homemade laundry soap and pre-treat. This is money that can go to your bottom line and help pay off debt and put more in savings! Frankly, it’s just crazy how much the stores want for laundry products, when it costs just a few dollars to make your own! Plus, you can skip out on all the toxins that are in most laundry soap products, even the ones that claim to be gentle! This recipe costs me less than $4 for 10 gallons of soap! 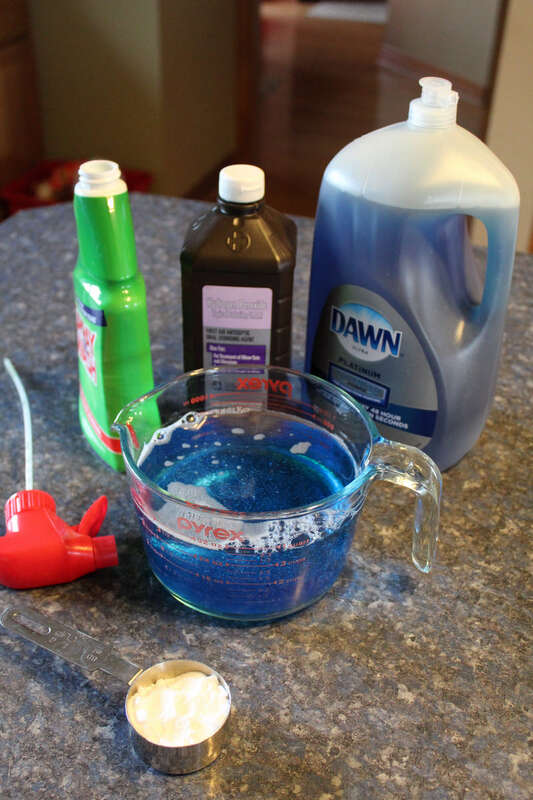 I’m quite sure that I’ve saved thousands of dollars from making this homemade laundry soap over the years! I’ve used this detergent with top loaders and front loaders. I’ve used this detergent with city sewer and septic without any problem. After talking to the gentlemen who clean our septic, they said they would recommend this detergent’s ingredients because it’s more pure than the detergents on the shelf and will break down better. 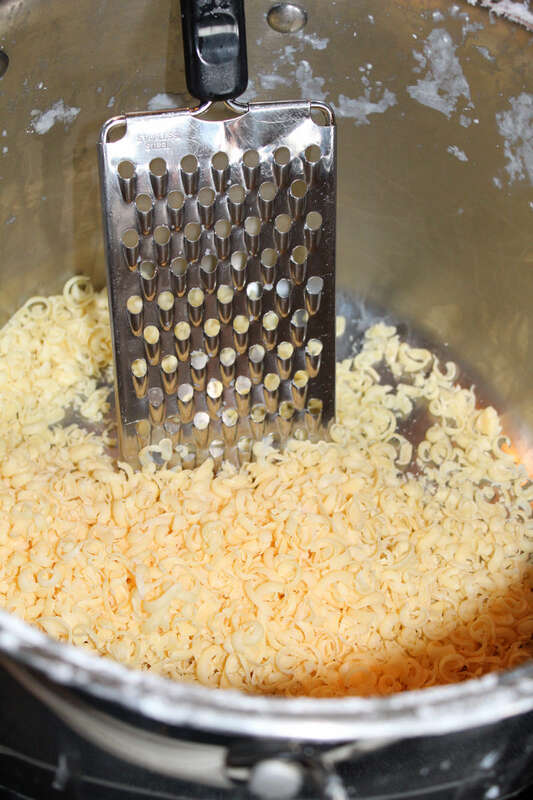 Step 1: Grate the bar of laundry soap using a grater or food processor. I prefer to use a stainless steel grater, and I keep a separate pot for this purpose only. Step 2: Bring the soap savings and 1/2 the pot filled with water to a boil, careful to not boil over. 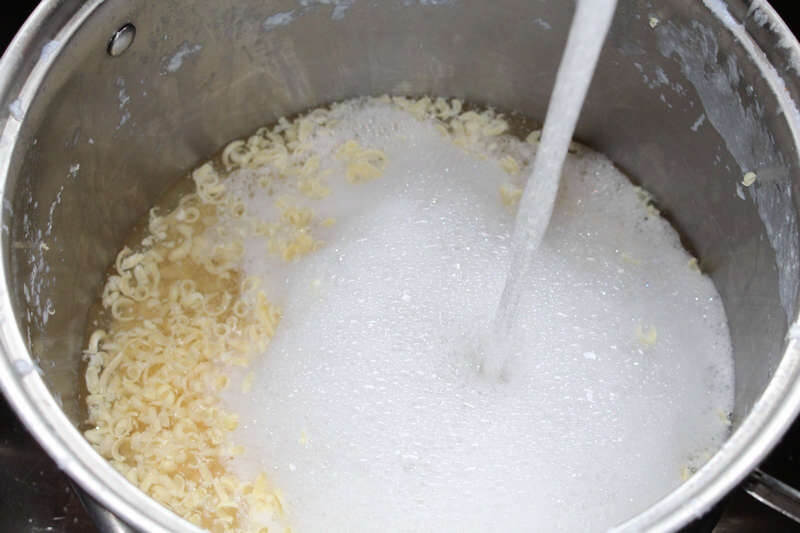 Once it boils, reduce heat to low and cook until soap shavings are melted, about 20 minutes. I like to keep the exhaust fan on during this process. 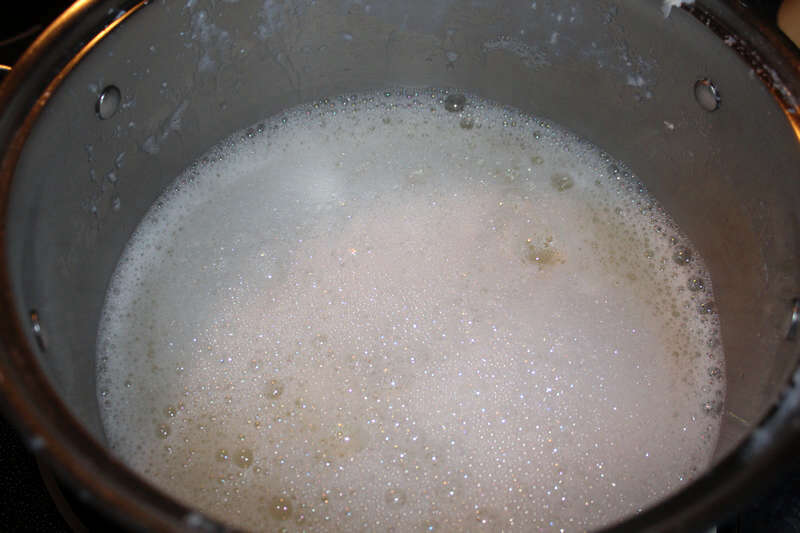 Step 3: Pour the liquid soap into the first 5 gallon bucket, then add the borax and wash soda. 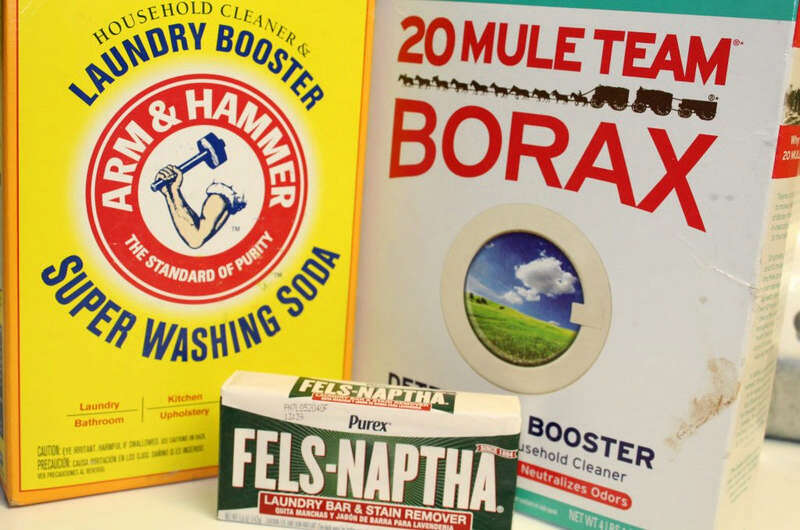 Careful not to inhale the borax or wash soda. Step 4: Fill the rest of 5 gallon bucket with hot water and stir. Let sit overnight. Step 5: Solution will be goopy after sitting overnight. 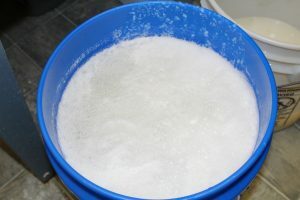 Pour 1/2 of the solution in the second 5-gallon bucket so that both buckets are 1/2 full. Now fill both buckets with hot water and stir, using a wire whip is helpful. Step 6: I use 1/3 cup per load, 1/2 cup if super dirty. Now you can go hang your laundry out on the line! Great advice and info for sustainable living. I look forward to exploring more of your articles and using more of your recipes. Hey Kim, thanks for being here!